The very best in Chrysler service is here at Rockie Williams' Premier Dodge Chrysler Jeep Ram near Nashville, Tennessee. Whether it's a routine issue or something more complex, our Chrysler-certified team of technicians is here to help. Being a genuine Chrysler dealer means we have access to a wide array of genuine Mopar parts and can offer your dealer-exclusive warranties on any repair you make. Visit our Chrysler dealership near Nashville, TN and make the most of our state-of-the-art service center, equipped with a 3,000-gallon fish tank and WiFi! 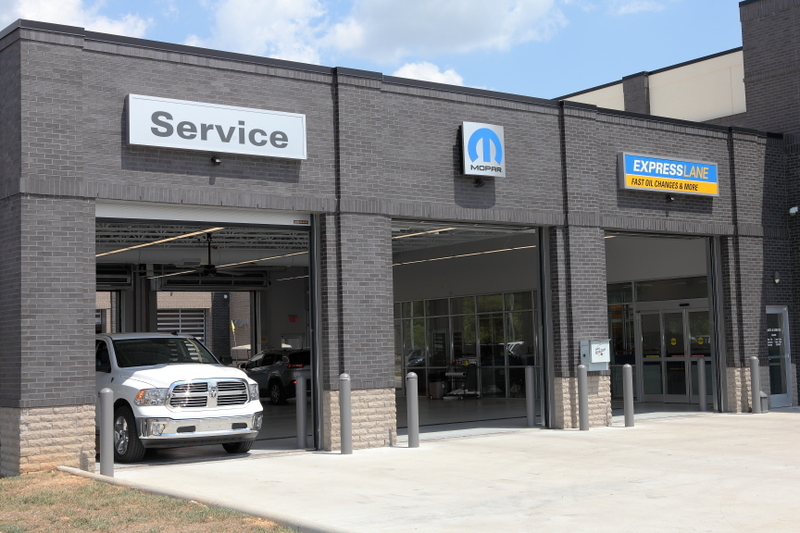 Service your Chrysler vehicle at your trusted Nashville, TN Chrysler dealership. At Rockie Williams' Premier Dodge Chrysler Jeep Ram near Nashville, TN we're well-versed in all things Chrysler maintenance. That means our capable crew will tackle any Chrysler-related issue that comes up in no time. Oil changes and tire rotations are a breeze for our team. More serious issues such as engine repair, collision work, brake service, transmission repair, and parts replacement are right up our alley as well! Contact our team near Nashville, TN today to get a comprehensive list of what repairs and services we're ready to handle. Rockie Williams' Premier Dodge Chrysler Jeep Ram near Nashville, TN makes scheduling appointments as easy and painless as spending time in our waiting area. Just make a quick phone call or stop by our Chrysler service center in person to set up a time for your next service appointment.